Government Minister Monica Mæland thinks it’s probably much easier for people with names like “Lars” or “Kristin” to get a job in Norway than it is for those with names that suggest non-Norwegian heritage. Her ministry is thus launching a new approach to affirmative action by testing a digital form of anonymous job applications. “In the state, it’s qualifications and not someone’s name that should determine who gets a job,” Mæland stated on Monday as she sent a letter to all state ministries asking them to participate in the new effort to improve integration. It involves digital technology that can remove the actual name of job applicants during initial selection rounds. Only when those viewed as having the best qualifications and most competence are called in for interviews will their names be revealed. 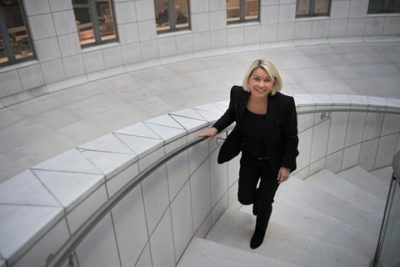 She also claimed that the government wants the state’s own personnel to better reflect Norway’s population, “and then we need to be aware of our own prejudices when hiring people.” Earlier studies have shown that employers are less likely to call in applicants for interviews if they have a foreign name instead of a typically Norwegian name. Norwegian Broadcasting (NRK) reported Monday on the case of Abdoolah Hosseini, a 31-year-old law school graduate who came to Norway as a refugee from Afghanistan when he was 16. After learning the language and working hard, he’s been working for state welfate agency NAV but has also applied for around 60 other jobs relevant to his law studies and master’s degree from the University of Oslo. Hosseini was only called in to three interviews. Even though he realizes other applicants may have had even higher qualifications than he has, Hosseini can’t help but wonder whether his name and background played a role in all the rejections he’s had. Mæland’s ministry is in charge of local governments and modernizing the public sector. It will be the first to participate in the pilot project involving job applicants’ anonymity, on the theory that it can help applicants with foreign names break into the job market and obtain work in line with their often high levels of education. Mæland is also asking every state ministry to select a division that can take part in the anonymous application project. It will start this spring and continue through the end of next year, after which its results will be evaluated.